Place salmon in the baking dish. Mix the butter and lemon juice in a small bowl, and drizzle over the salmon. Season with dill, garlic powder, sea salt, and pepper. 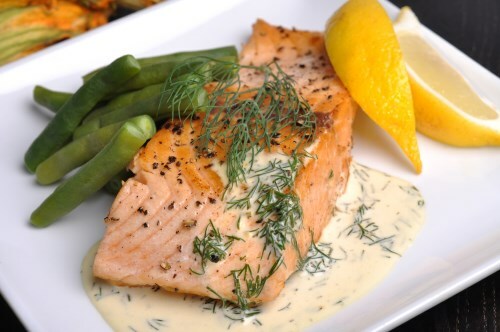 Bake 25 minutes in the preheated oven, or until salmon is easily flaked with a fork.